Lately I've been very inspired by Jill Foster and Joy Taylor. Both are so talented and I'm learning a lot about distress inks watching them work on youtube. I think they used this Penny Black poinsettia stamp and I had CASE it. It's embossed in white and then sponged with Festive Berries distress ink and some Fired Brick for the darker shading. Penny Black blog is a great resource - they are already showing Valentine's stamps. I don't really send V-day cards but I might have to get some of those stamps. Maybe use them for friendship or anniversary cards instead. Here are a few cards featuring Hero Arts cling set CG223 Season's Greetings. The trees are embossed in metallic green zing. It's not quite as metallic as I had thought it would be. The sentiments are all from Hero Arts clear set Joy to All and another set that has a bunch of smaller Holiday sentiments. The chevron appears again ! It's the Studio Calico/Hero Arts cling stamp. Love that one. I went for simple and flat cards this year, as you can tell. Did not do much embellishing with buttons, etc. I was running out of time and tried to keep it simple. Here are some cards using the Inkadinkado Evergreens cling set. You can build up a little scene with pine needles and cones. I used distress inks (including the winter ones that were released - the colors are gorgeous!) for the images. I went modern with the last one. 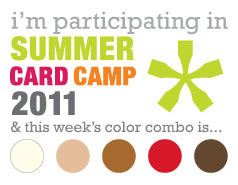 That chevron pattern is a Hero Arts/Studio Calico cling stamp. I love it and used it for some other cards too. Other products used: Spellbinders die, Hero Arts sets Music Background, Joy to All, and Season's Greetings. The red label is a Jenni Bowlin stamp, Corner Chomper. I have friends who celebrate both Chanukah and Christmas in their families - so I always need some general Happy Holiday cards. I had favorited this gorgeous card on Hero Arts flickr group last year. Of course I didn't get a chance to really CASE it but I loved the idea of using the flourish. Looks so pretty stamped with Colorbox pigment Frost White on kraft paper. I used versamark ink to stamp Hero Arts Music Background cling stamp on the base. The top card uses a sentiment from Hero Arts Joy to All cling set (great sentiments that I used on a lot of holiday ards this year) embossed in Zing Rouge embossing powder. The bottom card uses a sentiment from Stampin' Up and is embossed in silver. Finished both cards off with some bling. I'll be posting my holiday cards later. I was very late this year (as usual). I had promised myself to start earlier this year, but of course that didn't happen. Maybe 2012 will be different!! Look at me scrapping so much !! :) Lately I've been really enjoying scrapping more than making cards. In this page I used Studio Calico July Kits Mind the Gap (main) and Knickers. I added some Hero Arts stamping around the picture. It's hard to see though. This layout I am submitting for Shimelle's Bingo Cards & Butterflies challenge. I am obsessed with the Jenni Bowlin butterfly (I need to buy that stamp!) and was inspired by the yellow + butterflies of Shimelle's page for this layout! I won't be crafting as much in the next few months, so I was very productive this weekend! Here's my first attempt at a 2 page layout! I wasn't sure how to photograph it properly! These pages use Studio Calico August Kits Boardwalk and Boogie Board (and a few other papers and embellishments from my stash). I played along with Shimelle's Grid It Up Challenge in this layout. I had printed these photos up at a local drugstore. I take so many pictures during games and wanted to capture the fun and excitement we had, especially during the playoffs. This beautiful family of 3 moved to Germany recently. We will miss them so much but can't wait to visit them and see their new life unfold in a new city. I played along with Shimelle's Starting Point Challenge (she's having a great week of challenges with videos too which I really enjoy watching) in this layout using Studio Calico's August kit Boardwalk. There may be some of the add-on Boogie Board kit too. Off to start the weekend. 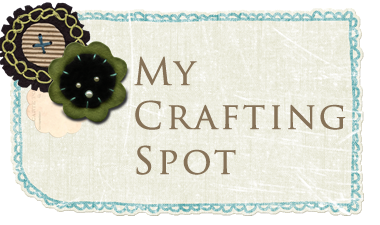 I have some fun activities planned and also hopefully get to do some scrapping as well! We went to visit our friends' new baby girl yesterday! Oh she's so sweet! So happy for them. I made this card for them - I found this clear stamp from Studio G. It had a cute elephant and sentiment that said "be natural" which I found odd :). I used Versamagic chalk ink which does a good job on the cheaper clear stamps. Anyways, the sentiment is from PTI's Baby Button Bits. The set had rhinestones included too so I add them to the bottom border. The white border shape is Fiskar's Upper Crest punch. My cards have been so simple lately - usually because I'm rushing to make a quick card before having to run out the door with it. I really would like to spend more time on each card!